18 at Carriage Factory Art Gallery, 128 E. Sixth St. The opening reception and artist talk is Saturday, May 30, 7 p.m. Music will be provided by Barrick Wilson on piano and refreshments will be served. The event is free and open to the public. The featured works of art explore various perspectives in Chiyoko’s search for meaning within a sojourner’s journey. After Chiyoko moved to the United States in 1995, she pursued art and received a BFA in painting from Wichita State University. She completed her residency program at the International School of Painting, Drawing and Sculpture in Umbria, Italy. She is now a multi-disciplined artist exploring painting, installation art and sculpture. She has shown her work in the United States, Japan and Italy and has received several awards. 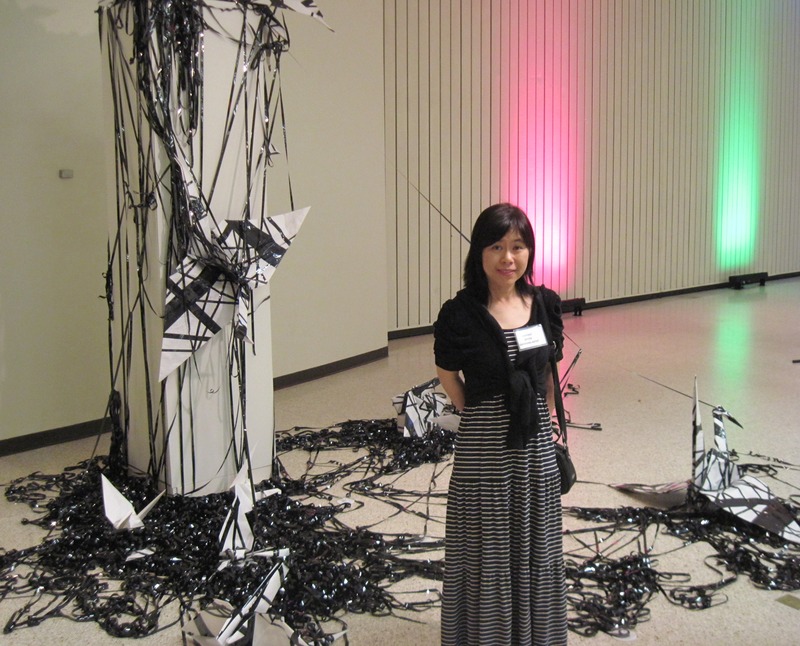 In addition to making art, Chiyoko said that she enjoys taking photos of her family and the Kansas sky.